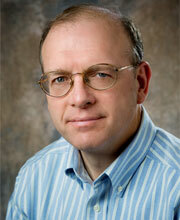 David Tucker is Associate Professor of Defense Analysis at the U.S. Naval Postgraduate School and an Adjunct Fellow of the Ashbrook Center. He is the author of Skirmishes at the Edge of Empire, The United States and International Terrorism and Enlightened Republicanism: A Study of Jefferson's Notes on the State of Virginia, and co-editor of Statecraft and Power.